How quickly can you access funds? Is the business line of credit secured or unsecured? How can using a business line of credit improve my credit rating? Does your small business need money? A business loan may be your first thought, but it’s not necessarily your best option. In many cases, a business line of credit can give you more flexibility while providing the money you seek. The amount of money you need, the time frame in which you want to pay it back and what you need the money for should all be taken into consideration when determining your best financing options. Do you need to finance a small purchase that you can pay back quickly, like a new computer for your business? A business credit card is probably the way to go. Do you need a lot more money (maybe $1 million) to finance a big, long-term project (such as upgrading all the equipment in your manufacturing facility)? A business loan from a bank will offer more money and longer repayment terms, making it ideal for financing projects that will take a while to pay off. 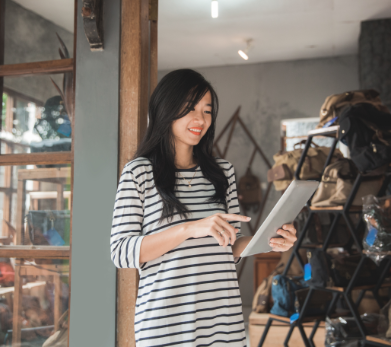 Typically offering a credit limit higher than a business credit card but lower than a business loan, a business line of credit falls somewhere in between the two. A business line of credit is typically used for short-term working capital needs. For example, you may tap a line of credit to pay your bills while waiting for a big payment from a vendor that takes 90 days to pay. Here are seven things you should know before applying for a business line of credit. A business line of credit is a revolving line of credit, similar to a credit card. You can borrow (draw) money up to your limit; as you repay the funds, the amount you’ve repaid becomes available to borrow again. For instance, if you get a business credit line of $10,000 and draw $10,000, you can’t borrow any more. However, once you’ve repaid $2,500 of that, you can borrow $2,500 again without any need to reapply for credit. Before applying for a line of credit, make sure you fully understand the terms involved. How often will you need to make payments? How long do you have to pay back the money you borrow? Are there any prepayment penalties? Unlike business loans, which usually require monthly payments, some business lines of credit offer the flexibility to choose monthly or weekly payments. Is the interest rate fixed or variable? If the latter, can you handle it if interest rates rise? What happens if you make a late payment? Will your interest rate go up? Will you incur a penalty? Does the lender charge a fee for drawing down money or just having the line of credit even if you don’t actually use it? If you need money in a hurry — say, to meet payroll during an unexpected cash flow crunch — getting access to your credit line right away is vital. Some business lines of credit allow you to get your funds as soon as the next business day; with others, you’ll have to wait. Secured business lines of credit, typically offered by banks, require you to pledge collateral, such as business equipment, machinery or inventory. (This is similar to a home equity line of credit, in which your house serves as collateral.) Unsecured business lines of credit don’t require collateral, so they’re easier to get, although they usually have higher interest rates. Banks typically have more stringent requirements for approving a business line of credit. For instance, they may not approve a relatively new business or might only offer a secured line of credit. There are also alternative lenders that provide lines of credit, typically with minimal requirements. You may need to have a certain amount of annual revenues or have been in business a certain number of years to qualify. Check the requirements of the lender you’re considering before you apply. Similar to a credit card, drawing down small amounts on the business line of credit and making your payments on time will gradually boost your business’s credit score by showing that you can use credit responsibly. This can make it easier to get other types of financing (or a bigger line of credit) in the future. It’s a good idea to apply for a business line of credit even if you don’t need one right now. There may come a time when you need financing to get over a cash crunch — and it’s easier to get approved when cash is flowing freely than when you’re in a tight spot and desperate for funds. 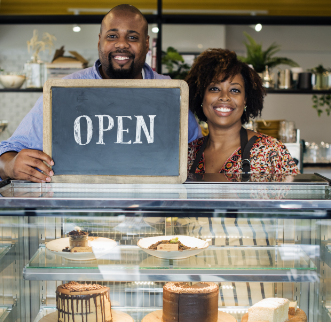 Having a business line of credit in your back pocket is a great way to ensure that late-paying customers, a slow sales month or an unexpected tax bill don’t put your small business out of commission permanently. Rieva Lesonsky is a small business contributor for Headway Capital and CEO of GrowBiz Media, a content creation company and SmallBizDaily.com. She has spent 30+ years covering, consulting and speaking to small business owners and entrepreneurs.